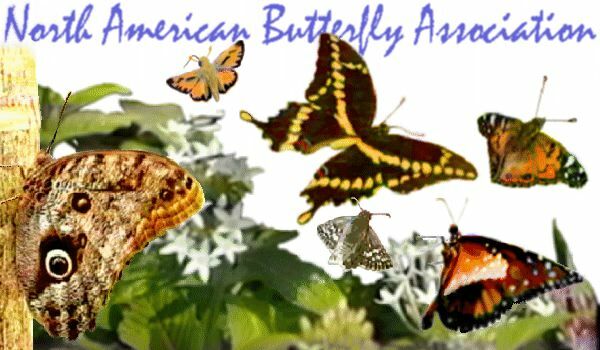 The North American Butterfly Association (NABA) is, by far, the largest group of people in North America (Canada, United States, and Mexico) interested in butterflies. There are approximately 20,000 species of butterflies in the world. About 725 species have occurred in North American north of Mexico, with about 575 of these occurring regularly in the lower 48 states of the United States, and with about 275 species occurring regularly in Canada. Roughly 2000 species are found in Mexico. How many kinds of butterflies can I find near where I live? In most parts of the United States, you can find roughly 100 species of butterflies near your home. The number is higher in the Rio Grande Valley and some parts of the West, somewhat less in New England. As one goes northward into Canada the number decreases, while as one goes southward into Mexico the number greatly increases. An adult butterfly probably has an average life-span of approximately one month. In the wild, most butterflies' lives are shorter than this because of the dangers provided by predators, disease, and large objects, such as automobiles. The smallest butterflies may live only a week or so, while a few butterflies, such as Monarchs, Mourning Cloaks and tropical heliconians, can live up to nine months. "Just living is not enough, said the Butterfly. One must have sunshine, freedom, and a little flower. " It's close to impossible to be able to physically handle a classic text by Mozart, Jane Austin or others. 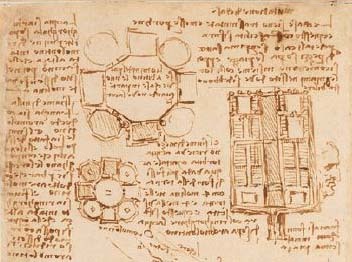 What do steam and paper have in common? I find origami and paper sculpture intriguing. Ed Bertschy provides a template that can be downloaded and printed on good paper to be used in the construction of a paper steam engine. 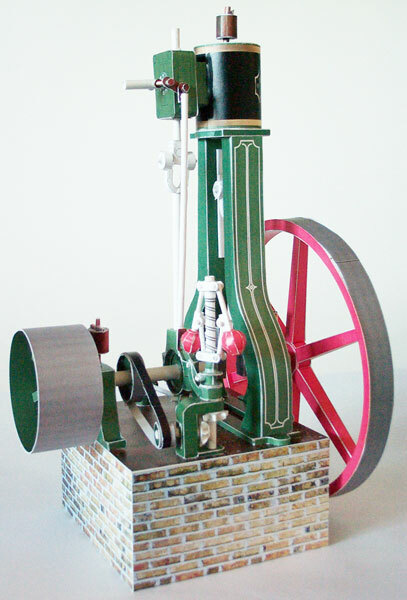 This paper steam engine is based on a Riches and Watts nominal 2 1/2 horsepower vertical A-frame double acting simple slide-valve steam engine circa 1870-75. The original engine was used to drive a water pump to irrigate the fields of Norfolk. If this model had a scale, it would be roughly 1:19. I had to double the size of the eccentric and strap in order to make it buildable. Everything else is close to scale, but changed in design and appearance because, well, paper isn't iron. Everything will work on this engine, the flywheel turns, there really is a slide valve in the valve chest, the piston works, the cranks and the connecting rods, eccentric and strap all work if built carefully. The final model stands about 12 inches high. I hope you have as much fun building it as I had designing it. You know you've wanted to play with Google maps on your own. It's not super easy, but here's a description about how to do it. "One of the great things about Google maps is it has its roots in XML. To translate for the non-web developers out there, it basically means Google maps are user hackable. This how-to will show you how to make your own annotated Google map from your own GPS data. Plus, you'll be able to tie in images and video to create an interactive multimedia map. We'll walk you through the steps we took to generate an annotated map of a walk we took recently through our hometown, now that it's actually starting to get warm enough to want to walk about!" "gmaptrack allows you to create and place your own information onto Google Maps, and share with others." The Writer's Almanac®, a daily program of poetry and history hosted by Garrison Keillor, can be heard each day on public radio stations throughout the country. Each day's program is about five minutes long. Minnesota Public Radio will email the newsletter and link to you every morning. It's a pleasant way to start the day with Garrison talking about some piece of literary history and then reading a short poem. 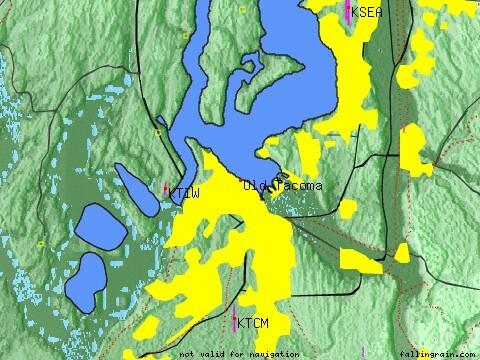 Where in the World is it Raining? 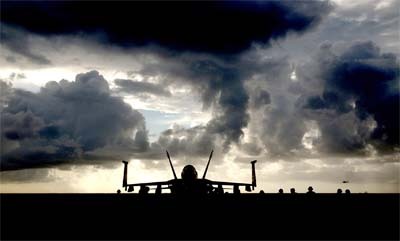 Want to see what the weather is like on the other side of the earth, or next door? Dictionary means - never having to say huh? "To see a definition for a word or phrase, simply type the word "define," then a space, and then the word(s) you want defined. If Google has seen a definition for the word or phrase on the Web, it will retrieve that information and display it at the top of your search results. You can also get a list of definitions by including the special operator "define:" with no space between it and the term you want defined. 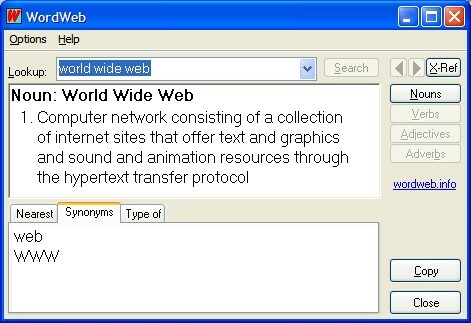 For example, the search [define:World Wide Web] will show you a list of definitions for "World Wide Web" gathered from various online sources." "WordWeb Pro is a quick and powerful international English thesaurus and dictionary for Windows. It can be used to lookup words from almost any Windows program, showing definitions, synonyms and related words. There are also many proper nouns and usage examples. You can search for words matching a pattern, find and solve anagrams, and optionally search a large number of extra word lists." "Ben Fry is a doctoral candidate at the MIT Media Laboratory. His research focuses on methods of visualizing large amounts of data from dynamic information sources. This work is currently directed towards "Genomic Cartography" which is a study into new methods to represent the data found in the human genome." 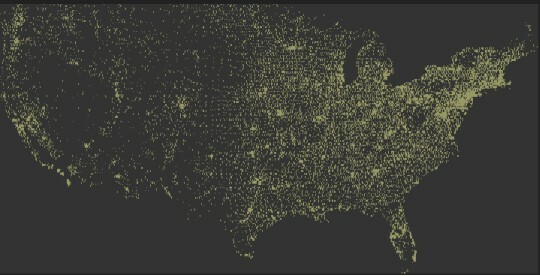 Type in a zip code one number at a time to see how zip codes are distributed in the US.